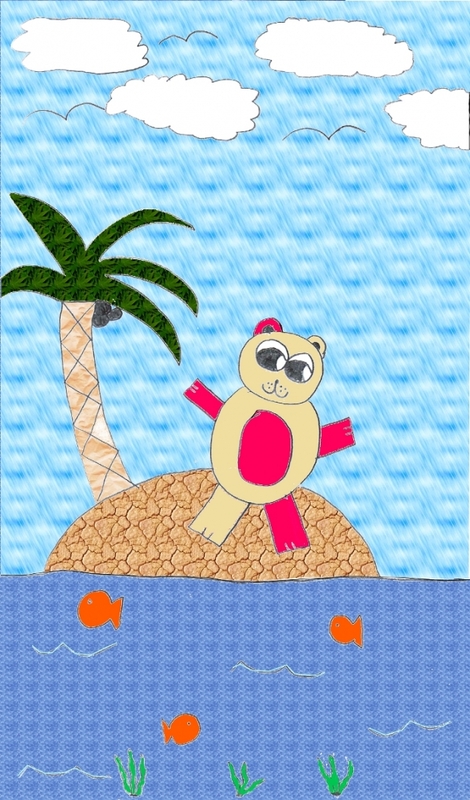 Hulaberry32 (Fan Art Portfolio) Teddy Bear Paradise! So, I drew the teddy bear because that's what I draw best. ;3 I actually signed everyone's yearbook last year with that teddy bear and then my name on the center! And it's pink because I love pink, and brown because all bears are brown, are they not...? The fish in the ocean are because I created this whole comic when I was a kid about this guy fish and this girl fish and it was really stupid but entertaining nonetheless. SO. This is dedicated to Fy-Fy since he dedicated something different to me! Sorry that I'm dedicating you such a horrible fan art. X3 But this is proof that I can't draw! *throws confetti* Huzzah! I know you guys are jealous of my coloring skills, too!